One of the big questions everybody – well at least those who have seen the film – has been asking about Infinity War has been answered, and it involves little Groot. By the way folks, if you haven’t seen the film yet LEAVE NOW THERE ARE SPOILERS/READ THIS BOLD PRINT I’M DOING IT FOR A REASON/I WON’T TELL YOU AGAIN. If you’re an anarchist or just curious to know who dies in the blockbuster without wanting to go pay money to see it, however, then, by all means, carry on reading. Okay, yeah, so baby Groot is a hot topic among Avengers-heads. Is it adult Groot’s son? A tinier version of Groot himself grown after adult Groot was murked at the end of the first Guardians movie. Guardians writer James Gunn says Groot is dead and baby Groot is his son. However IFL Science! have spotted a botanist who has chimed in with his own two pence. James Wong, has put the issue to bed in a Twitter thread. Baby groot is created from a cutting of Groot, an ambulant alien plant who dies at the end of the 1st Guardians of the Galaxy movie. Geeks are hotly debating whether he is a ‘son’ of Groot or just Groot living on. Baby Groot is the result of a form of asexual reproduction known as vegetative propagation. Plants, unlike most animals, retain their stem cells through their lives. So cloning them is super easy. Baby Groot is therefore a perfect genetic clone of Big Groot. Plants, unlike most animals, retain their stem cells through their lives. So cloning them is super easy. ‘Son’s’ tend to only share 1/2 their DNA with their parents. So this analogy is tricky. Genetically they are one and the same, more like identical twins. If it was indeed pollen in that scene, it would suggest there is a mysterious ‘Lady Groot’ character we have so far not seen. However, as many (most?) plants are simultaneously male and female, it is highly likely that we all have our pronouns wrong here! And finally, as we now know even Earth plants can process complex information about the world around them & retain it without the need for a centralised storage organ like animals need (ie a brain). 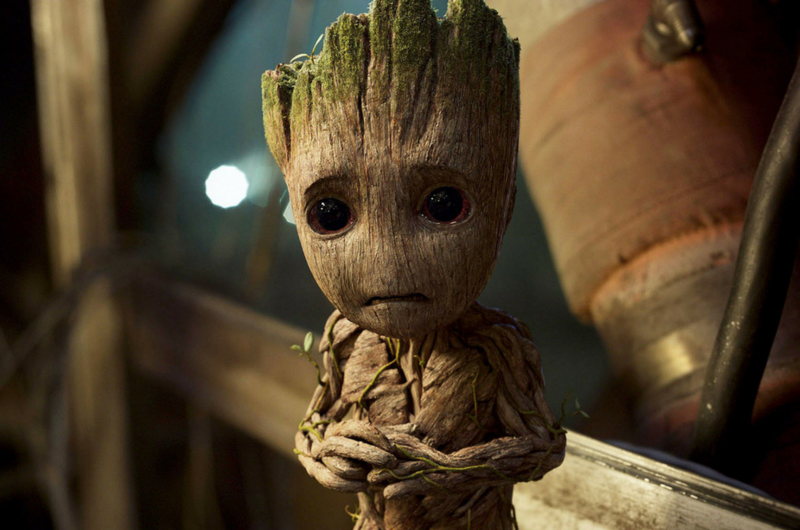 If Baby groot is a cutting, it is likely it retains Big Groot’s memories! Infinity War opened with an estimated $640 million worldwide, smashing previous-holder The Fate of the Furious with $542 million. Infinity War, which along with Avengers 4, will serve as the grand finale to the MCU and sees Tony Stark (Robert Downey Jr) Captain America (Chris Evans) and Thor (Chris Hemsworth) finally go up against Thanos (Josh Brolin) as he attempts to assemble the Infinity Gauntlet. To fight off the evil Titan, the three have assembled the biggest Avengers team yet, featuring Doctor Strange (Benedict Cumberbatch), Black Widow (Scarlett Johansson), Spider-Man (Tom Holland) and countless other heroes from across the cinematic universe.